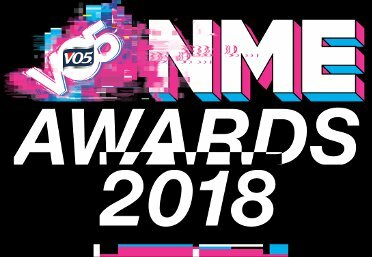 While the bulk of the trophies at this year's NME Awards went to some very modern artists, a couple of veterans have received special honors. Liam Gallagher is this year's Godlike Genious with NME Editor-in-Chief Mike Williams revealing that no other artist has been on the cover of NME more times. “No one has had more words written about them by NME. No one has had their picture taken more times by NME and, when you think that this is a magazine that, for 66 years, has been writing about The Beatles, and the Stones, and The Smiths, and every other legendary band and artist that the world has seen, then that just proves how totally iconic Liam Gallagher is." Williams continued, saying, "This is a man who understands exactly what it means to be a rock’n’roll star. Through his history, the tunes, the swagger, and the sense of humor, Liam is one of the most iconic rock stars of all time. He’s a frontman who knows the job description. Look cool, belt it out, be totally Godlike. No one does it quite like LG." Shirley Manson of Garbage received the NME Icon Award with Williams calling her a "fearless straight-talker that has influenced countless acts and millions of fans." In her acceptance speech, Manson spoke about the current controversies in the entertainment industry. "Any decent person is shocked by the statistics surrounding not only the harassment that women face, not only the violence that we face, but the lack of representation that we enjoy in an industry. The fact that women at my level enjoy under seven per cent representation is unacceptable. I call upon any musician in this room to stand up and really call out festivals for not representing women, in particular women of color, our black sisters. We need to make a change. It’s vital." In addition, Radiohead won Best Reissue for OK Not OK.